Sara Ali Khan graced the ceremony donning a beige and golden lehenga keeping it simple as she accessorized the look with a wristwatch made the heads turn at the red carpet. 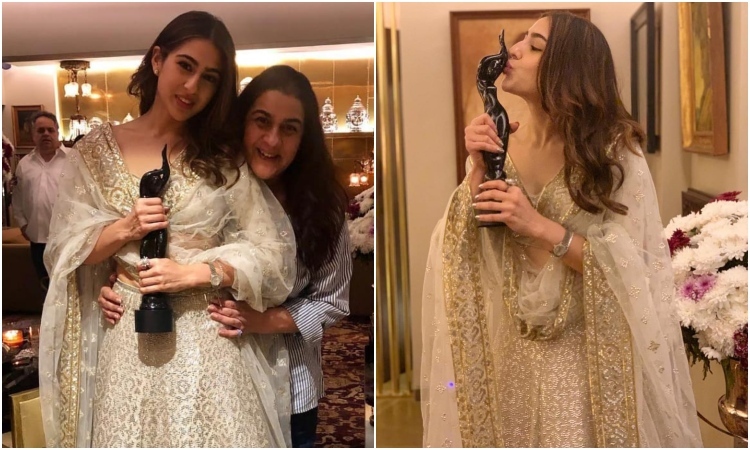 Sara took to her social media handle and expressed her happiness sharing the pictures as she posed with the black lady, "Thank you Filmfare for giving me this honour- being able to kiss the black lady is truly surreal Team Kedarnath this one is for each and everyone of you. Thank you for making my dream come to true Jai Bholenath"
As soon as Sara posted, the comments section was flooded with fans and members of b-town congratulating her for the honor.